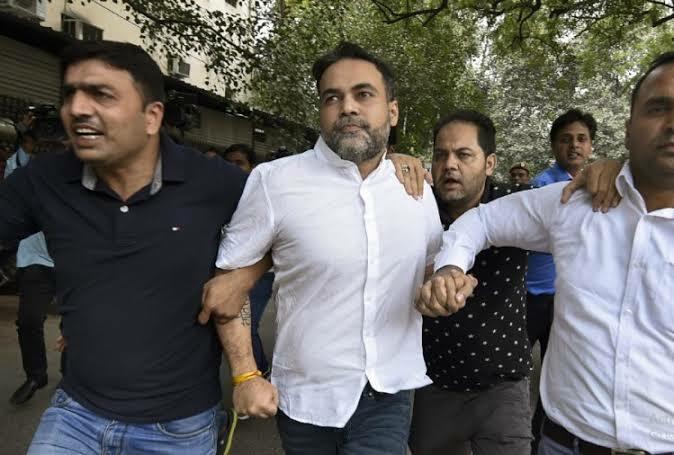 A Delhi court on Friday granted bail to former BSP MP’s son Ashish Pandey who was arrested for brandishing a gun at a five-star hotel’s guests here. Metropolitan Magistrate Dharmender Singh granted relief to Pandey on furnishing a personal bond of Rs 50,000 and one surety of the like amount. Delhi Police had on Thursday filed a charge sheet against him. Pandey had allegedly brandished a pistol at guests of a hotel threatening them in the foyer, a video of which went viral on the social media. The video of the incident, which occurred early on October 14, resulted in public outrage. It prompted the police to step in and launch a hunt for the accused who had gone missing after the incident.